Business Benefits Group - What Is POS Health Insurance? If you are like most Americans, the world of health insurance is a confusing one filled with acronyms and terminology that seems impenetrable. It can be hard to know where to even start, let alone which health care plan is best for your business or family. Each type of health insurance plan offers different advantages and finding the right one can be a challenge. For those who prioritize the ability to choose health care providers, Point of Service plans, also known as POS health insurance, offer a high degree of flexibility to patients. These plans combine the features of Health Maintenance Organizations (HMOs) and Preferred Provider Organizations (PPOs) so that patients have coordinated care through a primary care physician (PCP), with the ability to choose other health care providers both inside and outside of their health care network. 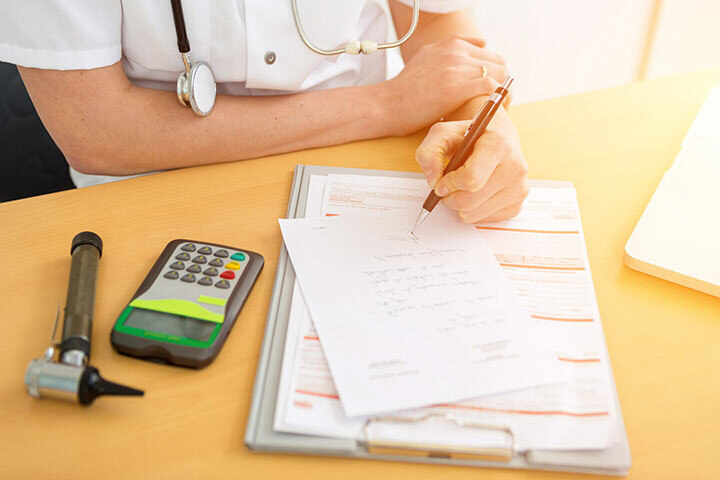 Understanding the features and limitations of POS health insurance is the key to determining if a POS plan is right for your company or your family. This article outlines the basics of POS health insurance to help you make a more informed choice as a consumer. As a general rule, health insurance operates based on a network system. A network consists of all of the doctors, hospitals, and health care providers that have contracted with a particular insurance company to provide medical care to its members. These providers typically accept a discounted rate for their services as part of their contract and are considered to be “in-network” for that insurance company. Prospective members can review the list of in-network providers on an insurer’s website or through booklets distributed by the insurer. Before deciding on an insurance company and plan, potential insureds must determine whether their preferred providers are in-network for that particular plan. Depending on the terms of the policy, the insurance company may pay for all, part, or none of a visit to certain providers or facilities. Consumers should carefully review provider lists to ensure that their providers are covered both by the insurance company and the particular plan that they intend to purchase. POS health insurance requires members to designate a primary care physician, or PCP, from its list of in-network providers. This PCP will coordinate all of the patient’s care. In contrast to other types of health insurance, POS plans allow members to see out-of-network providers. This gives patients a high degree of flexibility and choice, but it may come at a cost. Unless their PCP has referred them to an out-of-network provider, patients who choose to see a medical professional outside of their plan’s network will be required to pay all or part of the cost of the visit. POS health insurance plans rely on PCPs to coordinate member care. The primary care physician provides general medical care for patients, and must be consulted before a patient seeks treatment from another doctor or specialist within the network. If the PCP agrees that the patient should see another doctor or healthcare professional, he or she will issue a referral to permit the member to see either an in-network or out-of-network provider. This screening process helps insurance companies keep costs low, as the PCP acts as a gatekeeper for members. These savings are passed onto members through low premiums, copayments, and deductibles, but it can be a burden for patients who are required to see their PCP before obtaining an appointment with a specialist. In some situations, patients may find that a PCP does not agree that they need to see a specialist, and will refuse to issue the referral. If a referral is issued, then costs for seeing a specialist or other provider will often be low. Seeing an in-network specialist will be inexpensive for members, as the insurance company will cover all or most of the cost. If a PCP has referred the patient to an out-of-network specialist, then the POS health insurance will usually pay for at least part of the expense. For most patients, if an in-network provider is available, it is preferred because it will usually only cost a minimal co-pay at the time of treatment. However, in some situations, patients will want to go outside of the network to see the specialist of their choice, and POS health insurance gives patients the flexibility to make this choice. Unlike other types of health care plans, POS health insurance offers an incredible amount of freedom in choosing providers. Members are free to make an appointment with any health care professional or at any health care facility — as long as they are willing to pay the higher costs associated with going out-of-network. Since the insurance company has contacts with in-network providers, there is a strong incentive to stay within the network when choosing medical providers. But in some cases, an out-of-network provider is preferred. With POS health insurance, patients are able to see any doctor. The major difference is cost. A specialist within the network may charge members a ten dollar co-pay for a visit. If a patient sees a specialist outside of the network, he may be responsible for up to forty percent of the cost of the treatment. While it often makes good financial sense to stay within network, there are times when it is better to go outside of the network to get the best possible care. Imagine a situation in which a member has a rare type of cancer. There are plenty of oncologists within their provider network, but none that have significant experience treating their particular type of cancer. An out-of-network oncologist may be running a clinical trial for this rare cancer or have a reputation as being the best in the region at treating this cancer. In this situation, most patients who are financially able to do so would choose to pay the extra costs associated with seeing an out-of-network provider. Depending on the policy terms, if the patient’s PCP refers him to this out-of-network provider, the costs will be less than if the patient had chosen the doctor without a referral. There are other situations where members might choose to see an out-of-network provider. Perhaps a patient has a long-standing relationship with a doctor. Maintaining that relationship might be more important to them than a small co-pay. If a member is traveling and falls ill, the health plan will likely pay for at least part of a visit to an out-of-network provider. The benefit of a POS health insurance plan is that members have the ability to make this choice for themselves, provided that they can afford the additional cost of seeing an out-of-network medical professional. The biggest advantage of POS health insurance is the freedom that it gives to members to choose the health care providers and facilities that they want. A member with a POS plan can select an array of providers to meet her unique needs. The only limitation on choice is the member’s ability to pay the higher costs associated with seeking treatment outside of the network. While a referral is needed for in-network care, members are free to seek out-of-network care at any time without the need to see a PCP or obtain a referral first. Beyond freedom of choice, POS health insurance is attractive because of its low cost. Premiums are typically affordable, and in-network care requires a minimal co-payment and no deductible. That means that coverage begins immediately after enrolling in the plan; members are not obliged to spend a certain amount of money before the plan starts to pay their health care costs. In-network copayments are low, usually from ten to twenty-five dollars per visit or treatment, depending on the plan. Total out-of-pocket costs are often capped so that members will only be responsible for a certain amount each year, such as $2,400 for an individual or $4,000 for a family. The limits on out-of-pocket costs help consumers plan their health care spending more efficiently, as they will be able to predict the maximum amount that they will spend on healthcare each year between premiums, deductibles, and copayments. POS health insurance is not for everyone. These plans require careful examination of plan details, an understanding of the terms and limits of the policy, and a willingness to handle the paperwork associated with filing insurance claims for out-of-network care. But for consumers who value freedom of choice, this type of health insurance plan may be an incredibly smart pick. POS health insurance gives its members a high degree of flexibility in selecting health care providers and facilities, and will pay for at least a portion of out-of-network health care costs. If you’re in the market for health care insurance for your business or family, consider POS health insurance. Contact a BBG broker today to learn more about this type of health insurance, and whether it would be a good choice for your health insurance needs.